Featuring a Cutco customer favorite. 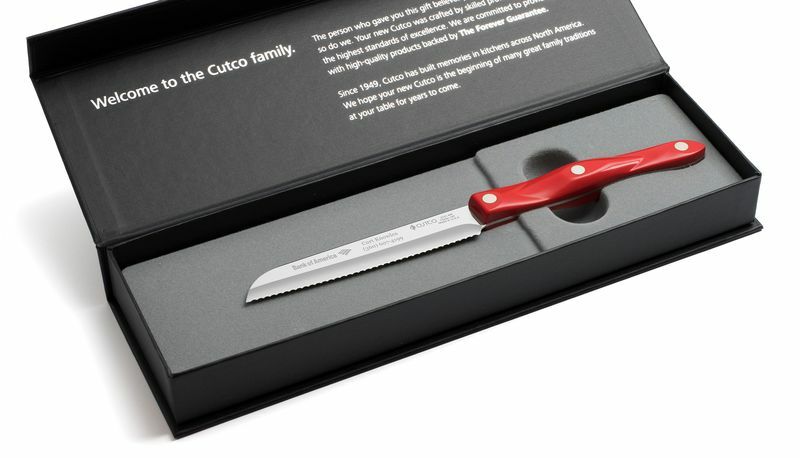 The Santoku-Style Trimmer in a deluxe gift box. 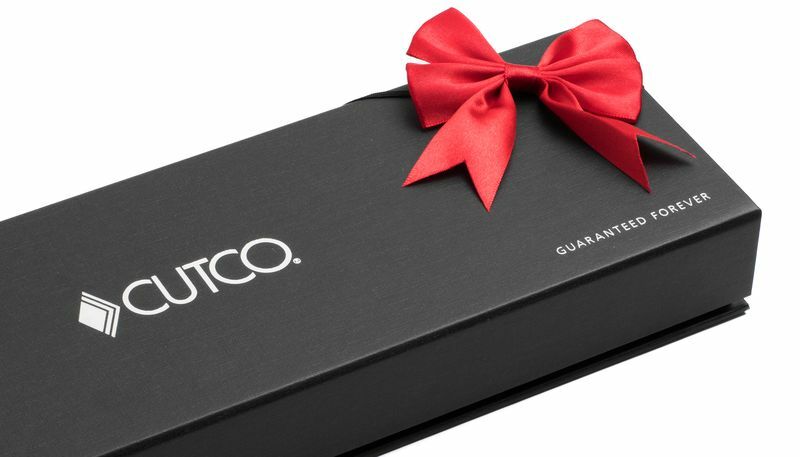 Attractive linen-patterned gift box with silver-embossed accents and magnetic closure. 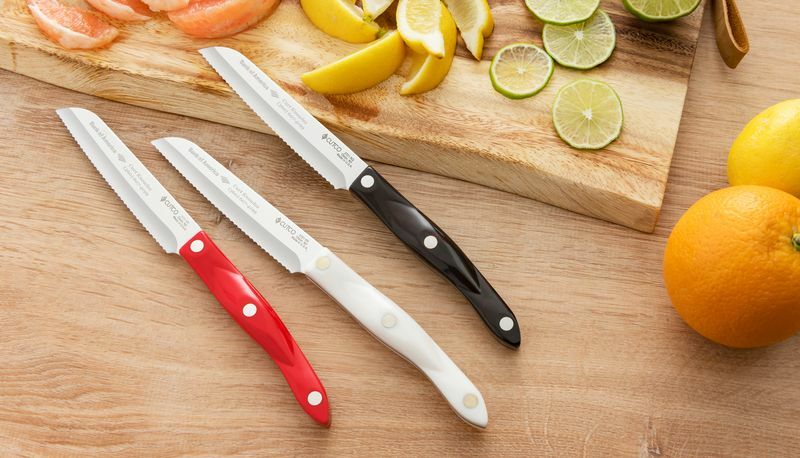 Since 1949, Cutco has proudly made high-quality kitchen knives and products in Olean, New York, and we are committed to keeping it that way. 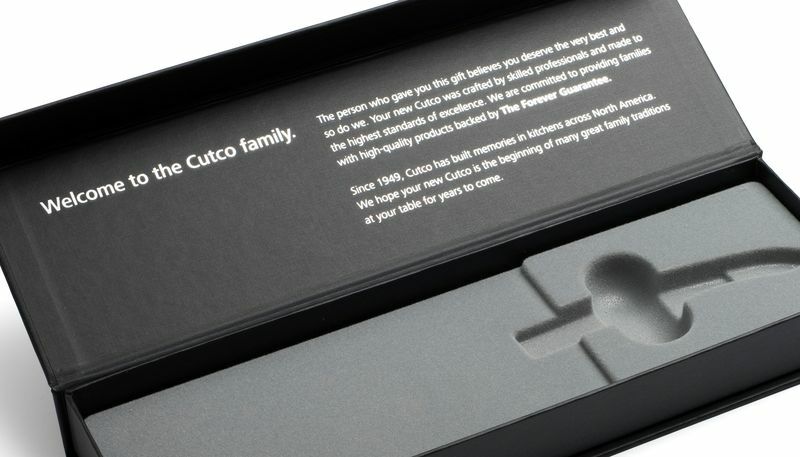 This is Cutco’s unwavering promise and it is at the heart of everything we do.